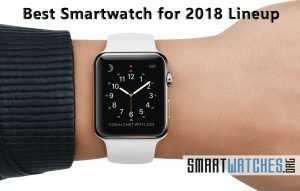 Smartwatches.org’s best smartwatch for 2018 list. 2017 is pretty much officially over – and may even be long past by the time you read this. So, it makes sense to take a look ahead at some of the best smartwatches and wearables you can get over the next year. Some of these will have been available for a while because they’ll still be viable going forward – the Apple Watch is a great example. 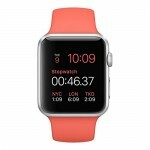 Even the first generation Apple Watch will be worth buying, especially at a discounted price. Let’s take a moment to explore some of the best smartwatches 2018 has to offer! Hands down, the Apple Watch is one of the best-priced smartwatches regarding features, reliability, and support. In fact, Apple even updated the original models with the newer hardware to make them more relevant in the current market. You don’t have to worry about buying a sub-par product that’s been outdated. Furthermore, the older models from Gen 1 to Gen 2 receive the same software and firmware updates as the new models. 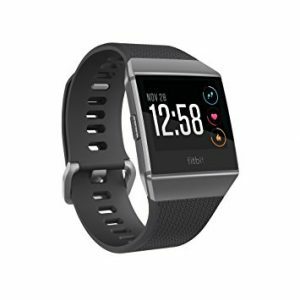 The biggest difference between the older model(s) and the newer one(s) are the hardware updates, like GPS, cellular connectivity, and advanced fitness tracking. As promised, the leap from Series 1 to Series 3 is nothing major regarding style, aesthetics, and software. 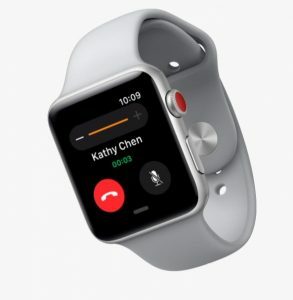 Apple did add cellular connectivity to the latest model including GPS, which means you can use the watch separate from an iPhone – though you can still sync up the two. There are a couple of newer styles offered, but the band and case materials are primarily the same as are the colors. If the added features are important to you, then it’s worth spending the extra money on the newest model. The ability to make and take calls on your watch without having your iPhone nearby is a huge leap forward, especially for those who need to remain connected no matter where they are. It seems like innovation in the smartwatch and wearable space is few and farther between these days. Most of the renowned and major brands have their design and specifications and stick to the same from iteration to iteration. 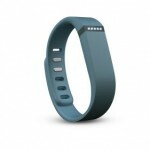 Fitbit is a brand known for its fitness and health tracking devices, first and foremost. During the latter half of 2017, they pulled a fast one and launched the Ionic, which is more akin to a smartwatch instead of a fitness band or simple tracker. No doubt this has to do with the acquisition of former smartwatch maker Pebble. The Ionic now sports a touchscreen display, measuring 1.42-inches with a max operating resolution of 348 x 250 pixels. It’s also protected by Corning Gorilla Glass 3 which is scratch and shatter resistant. You don’t have to worry about sweat or rain either, as the Ionic is water resistant up to 50M. Yes, you can take it in the shower, and also in the pool to track your swimming sessions. 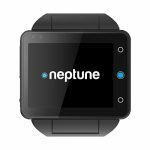 It also has a built-in heartrate monitor, app support, NFC, customizable clock faces, access to Pandora and room to store 300 local songs. 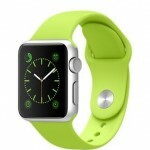 Plus there are three different colors or styles to choose from, in addition to two wrist sizes. 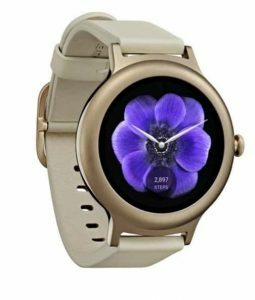 The Asus ZenWatch is powered by Google’s Android Wear watch operating system, so the experience is largely the same as other Android wearables. Where it shines, however, is on the visual spectrum. This thing is a real looker no matter which model you choose. No doubt, Asus will launch a hardware or software update over the coming year so the price of this should drop if it seems too high for you right now. 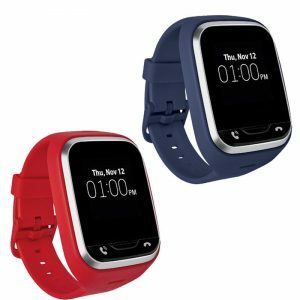 If you’re looking for more options, be sure to check out our Best Kids Smartwatches and Wearables guide – we update it regularly. 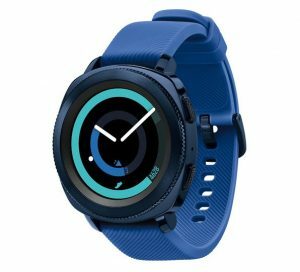 As for the watch that belongs on this list, we have to crown the LG GizmoGadget currently offered through Verizon Wireless. Aside from the fact that it’s an actual smartwatch – complete with a 1.3-inch touchscreen – this thing also has cellular connectivity and full GPS support. 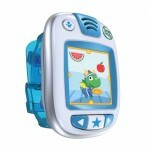 The wearer – presumably a kid – can call up to 10 programmed contacts and receive incoming calls from them. They can also send and receive short SMS messages. It’s waterproof, so you don’t have to worry about it getting ruined. Furthermore, the companion app allows you to track its current whereabouts on detailed Google Map views. If you’re looking to stay informed about your child’s location and keep in touch, this is the way to go. You will have to sign-up for a 2-year contract for the wireless service, again through Verizon. The LG Watch Style is powered by the Android Wear OS, a 1.1GHz Qualcomm Snapdragon Wear 2100 processor, and a 240 mAh rechargeable battery. It’s also IP67 water and dust resistant, which means it can withstand a little moisture – though it’s not suitable for swimming or diving. It comes in three colors, all of which look fantastic. It also has Bluetooth and WiFi, along with 4GB of internal storage space. We labeled it “chic” because of how minimal the design is. You get a plain band, a round watch with a simple yet sleek look. In fact, you’d have almost no idea this was a smartwatch sitting on your wrist until the screen lights up. It should pair well with just about any outfit too. Samsung is kind of in a league of their own when it comes to smartwatch possibilities, simply because they’ve launched so many different models and variants. If you’re a Samsung fan, or just want to stick with a brand you know, then you can’t go wrong with the Samsung Gear Sport. Obviously, it’s meant for fitness and health enthusiasts most but works just as well as a conventional smartwatch. Instead of Android Wear – which debuted on the early Samsung watches – the Gear line is now powered by Samsung’s own Tizen OS. Believe us when we say, Tizen gives both Android Wear and WatchOS a run for their money when it comes to fitness and health support. Plus, there are a ton of colors and styles to choose from, including a brilliant, electric blue. We’re just getting started, so be sure to check back here throughout the year as we update the list. If any of these smartwatches are replaced by something better then we’ll revise our entries. Surely, there will be a few surprises, model updates, and new contenders entering the market that you’ll want to keep an eye out for. Are you ready for another year of great wearable launches? What do you think is going to be the best smartwatch for 2018?